Overview. My Work. Thoughts. BIO. Is Cycling Apparel Ready For Fast Fashion? Style on the bike has almost become a prerequisite on the road. For those of us who are color challenged, prefer all black style and like the dirt, it's hard to get our heads around the idea of fashion on the bike. But let's set my style and color challenges aside for a minute and explore a little more into what translates to a discussion on style and fashion. 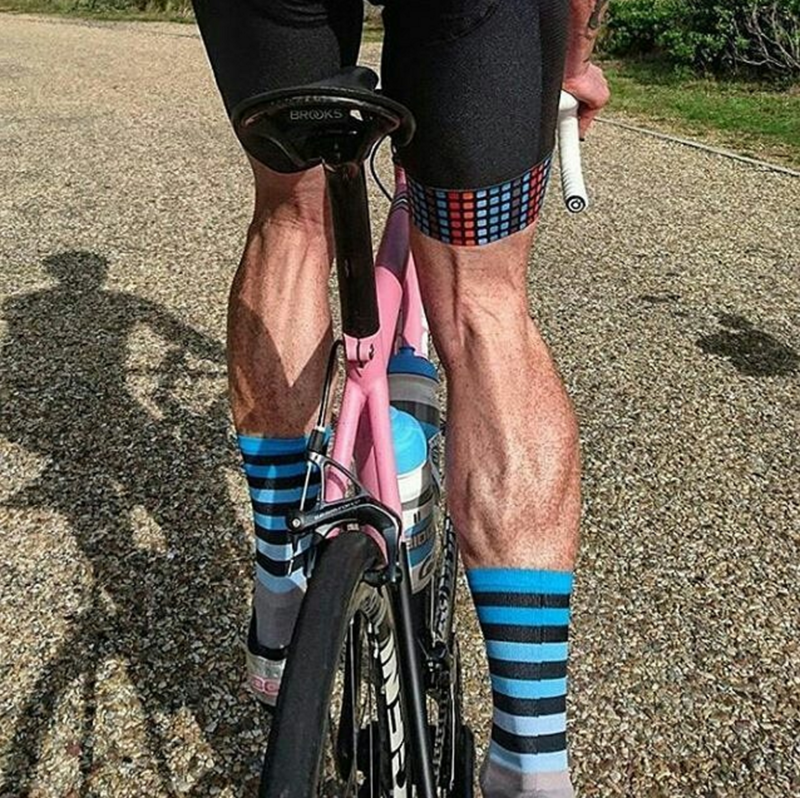 #sockdoping is just one element in the broader social conversation of style on the bike. It's usually grouped with #kitdoping, #styledoping and people looking for #kitspiration. What exactly is cycling style?. With over 80k posts on Instagram alone using this collection of hashtags makes it apparent that style is just as important as the ride. If you are an apparel company, you should actively mine these visuals for inspiration for your next collection and begin to recruit some of the most active members as potential co-creators for your next line of clothing. The bigger question it brings up is speed to market and adjusting to new trends. The fashion industry has already embraced this with the concept of fast fashion. Fast fashion clothing collections are based on the most recent fashion trends presented at Fashion Week in both the spring and the autumn of every year. Can cycling clothing brands move this quickly and OFFER price points where people WILL buy more often? In Cannes, Experiences, Not Ads Will Become The New Normal. Trends: Who Will Win The Tour De France?